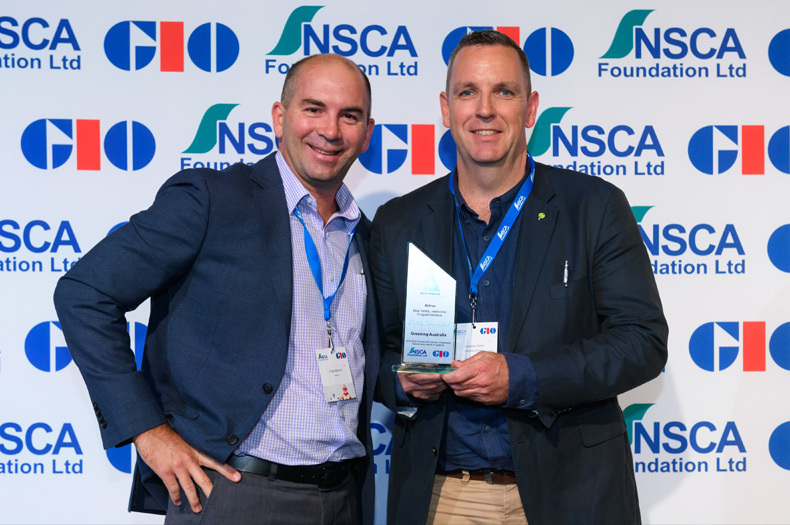 Greening Australia finished National Safe Work month and Mental Health week on a high note after receiving a highly commended trophy at the 26th National Safety Awards of Excellence in Sydney on 11 October. CEO of Greening Australia, Brendan Foran, with the trophy at National Safety Gala Awards luncheon. 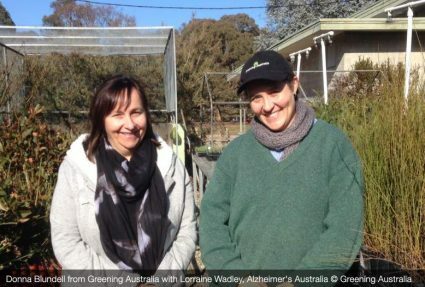 Greening Australia was selected as a finalist for the Best Safety and Leadership Program from a large pool of candidates including for-profit businesses. 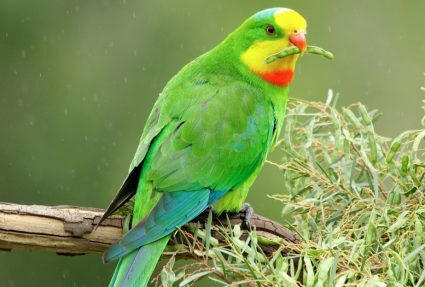 Greening Australia’s Work Health and Safety (WHS) program which is underpinned by a strategic plan focusing on the development of a national management system, safety leadership, and safety culture launched in 2016. The framework aims to maintain a healthy and safe working environment for employees across all functional areas of the organisation and puts employees at the centre, with the goal that “everyone arrives home safely everyday”. 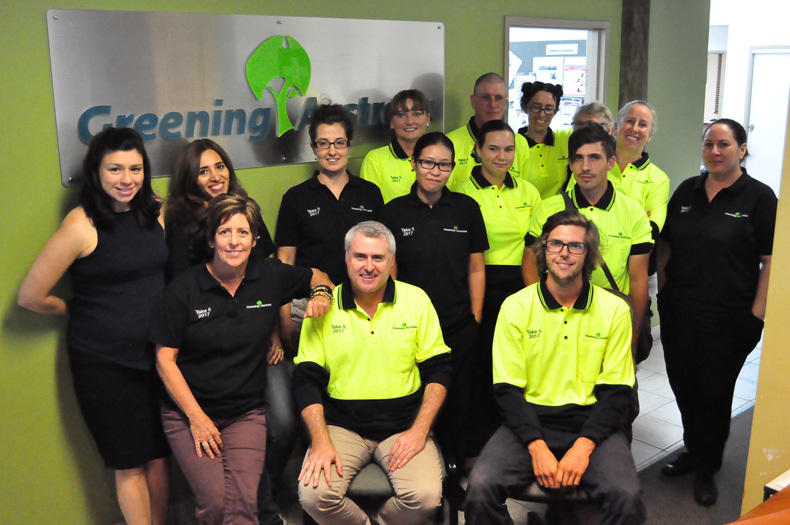 To engage employees directly in WHS, embed the safety values and empower staff, Greening Australia hosts an annual themed ‘Stand Down for Safety Day’ where the organisation comes together to share, discuss and actively promote safety. 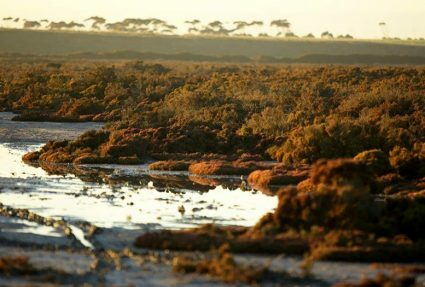 The WHS program and performance are reviewed annually and measurable targets set to ensure continued improvement across all work environments and ensure the system is fit for purpose. The WHS program is already achieving significant results with no lost time injuries reported in the first quarter of 2018 and lost time injury frequency rates decreasing over the period from 30 to 10. Safety engagement has also increased by 16% since the policy was first implemented. The award has been dedicated to Aaron Frith, a much-loved Tasmanian colleague who sadly passed away last month.